Cabinet yesterday approved the Maintenance of Peace and Order Bill, which seeks to repeal the Public Order and Security Act (POSA), Protection of Personal Information Bill and the Freedom of Information Bill whose thrust is to repeal the Access to Information and Protection of Privacy Act (AIPPA). The approval of the principles of the two Bills demonstrates determination by the Second Republic to pursue the reform agenda that will see the country move on a new trajectory in domestic and foreign policies under the stewardship of President Mnangagwa. The repeal of POSA and AIPPA paves way for the opening up of the democratic space and the enjoyment of freedoms and rights, moving away from the previous era before the advent of President Mnangagwa’s administration. Addressing a post-Cabinet meeting media briefing in Harare last night, Information, Publicity and Broadcasting Services Minister Monica Mutsvangwa said she presented the principles of the Freedom of Information Bill that would create legal framework outlining parameters for the exercise of the right to access to information as envisaged by the Constitution. “Cabinet approved the principles and directed that instructions be issued for the drafting of the actual Bill, which is one of the three Bills envisaged to arise from the repeal of the Access to Information and Protection of Privacy Act (Chapter 10:27),” said Minister Mutsvangwa. Responding to what entailed the Maintenance of Peace and Order Bill, Justice, Legal and Parliamentary Affairs Minister Ziyambi Ziyambi said the proposed law was not only meant to comply with the Constitution, but to be consistent with previous judgments that were made by courts of law. “One issue we wanted to amend is where a convenor of a public meeting, in the current Act there was no requirement for the regulator to give a specific period where they can respond if you had applied for a public meeting,” he said. “In the new Bill, we are saying once there are no issues within three days, the regulator must inform the conveners of that particular meeting that they can go ahead. “Also, we needed to deal with Section 27 which spoke about a regulator being allowed in advance, in anticipation of a demonstration, to designate a certain area that demonstrations cannot be done for a month or so, this we have banned, we have removed that provision. “There was also within the Act the provision that if you do not have an identity card you can be detained, in the new law, if there is a security roadblock and if you do not have an identity card, the officer can now require you to present yourself to a police station within seven days and if you do not have an identity card within that period you are liable to a fine. Turning to other deliberations, Minister Mutsvangwa said Cabinet was briefed by Health and Child Care Minister Dr Obadiah Moyo on several programmes undertaken to improve availability of medicines. They include procurement of $2 million worth of medicine from Denmark, securing $25 million of medicines from Gemcorp, which is already underway, a donation of $2 million worth of drugs secured by China Polaris, and procurement of medicines under a commodity exchange programme involving Russian Federation National Security, which is already under discussion. “To address the prevailing situation where patients in need of specialist services are forced to seek treatment outside the country, often at costs beyond the reach of many of our citizens, Government is now working towards establishment of a speciality hospital wing under the Parirenyatwa Group of Hospitals,” said Minister Mutsvangwa. Land for building industrial parks had been identified at the University of Zimbabwe farm, Chivhu council, Masvingo and Marondera. On the Harare-Masvingo-Beitbridge Road project, Minister Mutsvangwa said rehabilitation of the Beatrice to Chivhu section was set to start tomorrow, while rehabilitation of the Chivhu town section was due to commence on March 1 2019, with tenders for the remaining section having been submitted to the Procurement Regulatory Authority. Minister Mutsvangwa said Cabinet expressed its condolence on the death of artisanal miners at Battlefields Mine disaster owing to flooding of mine shafts. 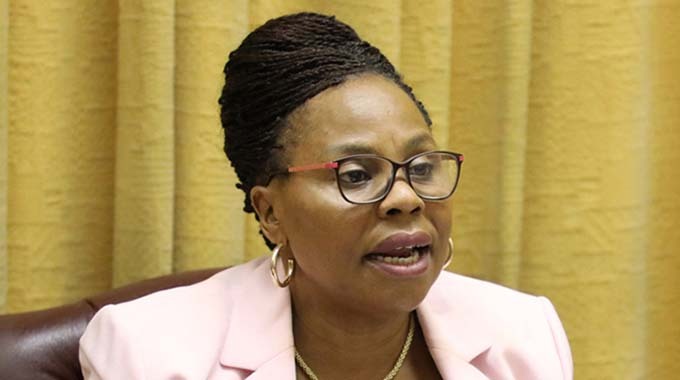 Government, said Minister Mutsvangwa, had approved a Fund known as Business Emergency Relief Fund to assist affected businesses by the violent disturbances that rocked the country on January 14 to 16 2019. The money would be disbursed directly to suppliers and retailers who would draw down goods and re-payment would be made for a period of three to six months at an interest rate of four percent per annum. Cabinet was also briefed on the partial privatisation of the Zimbabwe Mining Development Corporation where it was agreed that tendering process with respect to Glvington Gold Mine, Jena, Lynx Graphite, Sandawana mines, Mbungu CBM and Gwayi CBM be abandoned. Cabinet also approved Bilateral Air Services Agreements between Zimbabwe and the Sultanate of Oman and Democratic Socialist of Sri-Lanka providing framework of air transport services as part of Government’s efforts to engage and re-engage with the international community, thereby fulfilling the mantra that Zimbabwe is Open for Business.